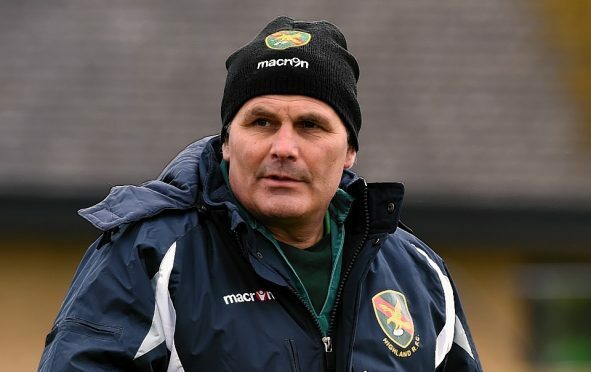 Highland head coach Davie Carson aims to mark the halfway stage of the National 2 campaign by remaining second with a victory at Howe of Fife tomorrow. The Inverness outfit have made a strong start to the season following their promotion as National 3 champions last season, winning all but two of their 10 fixtures so far. Carson’s men will have faced all their league opponents by the time they have faced the second-bottom Fifers tomorrow, and the Canal Park boss has been thrilled with the way his side has adapted. Carson said: “In pre-season we talked about a top-four finish but there were a lot of teams we had not played before. “I’m delighted with the way the guys have performed, and how players have stepped up from the seconds when other guys have been injured. Despite tomorrow’s opponents having just one victory to their name so far, Carson is demanding high standards from his players, adding: “Howe of Fife are down there, but it’s the same as Lasswade last week. We have told the guys that if they don’t perform they will get beaten. “We performed really well last week though, even though it wasn’t up to the high levels of the Stewart’s Melville performance the week before, but we scored seven cracking tries. “In the last couple of years we have had a good away record as well as at home, we have got into that winning mentality. Highland will be without flanker Oscar Baird who is representing Project Waterboys, a Scottish select side, at the Cobra 10s tournament in Kuala Lumpur.